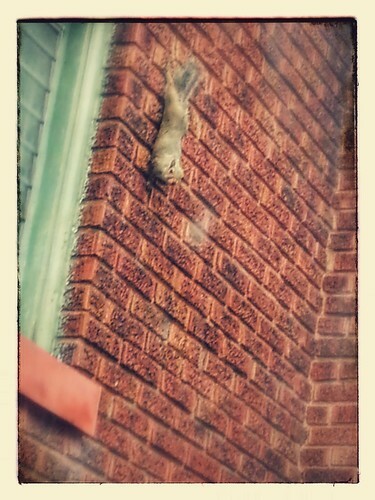 Squirrel hanging upside down and eating nuts while outside my house, watching me as I sit in my car watching him. about my son, who is having a sorrow of his own this week. His long-time girlfriend, whom he has lived with for a number of years, moved three hours away over the weekend to start a new job. I don't know what the future holds for him, but I am praying fervently that he can find God's plan for his life. Tons of life lessons in this that I am trying to point out to my other children. for the sacrament of confession. I went on Friday and feel renewed! I am also thankful for this busy time of life - a time that I know will go by quickly. I am trying to enjoy it as much as I can. 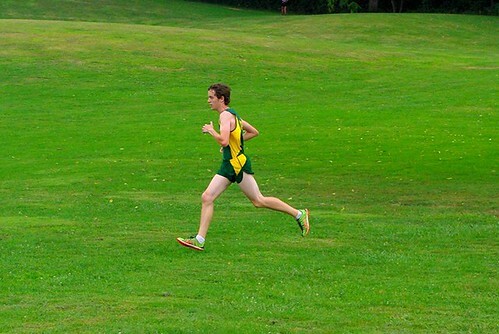 that Noah met his goal of beating the 20 minute mark in his 5K - he ran his 5K in 19:03 on Saturday - a new PR! 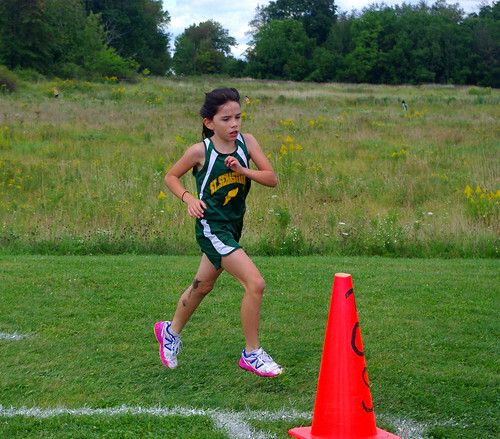 Rosie ran with the 5th and 6th grade girls on Sunday and held her own quite well. Orange fish tonight with egg noodles- although we will probably eat around 1 today so that Noah will have enough carbs for his meet tonight. black workout pants and a black T-shirt. how long it will take me to get proficient at shooting. 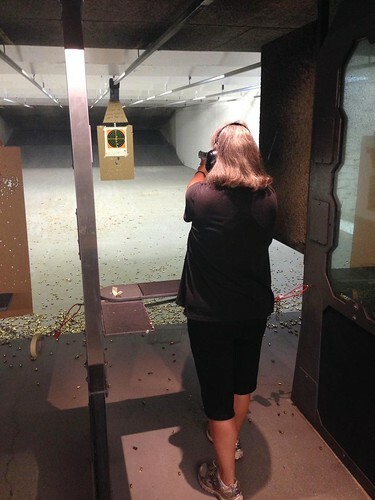 Calvin took me to the gun range last week. He captured my first shots on his phone! to walk Monday - Thursday and try get some arm workouts in too. Let Noah have some big driving time! Take Rosie and Noah to their cross country practices. Pray the office with the children in the morning with divine office. com a habit! the start of RCIA this week and how it conflicts with music rehearsal and how I am going to manage to do both! I have been asked to be the sponsor of the neighbor girl, Izzy's best friend, T.
Joan Rivers hit rock bottom in her 50s - and came back to have a great career for 30 more years. I find that fascinating. Noah working on Instacert to get ready for the American History II CLEP test. Izzy working on Geometry, American History, American Literature, biology and sign language. Rosie working on math, reading, spelling, map skills and history. Izzy and Noah doing the Dave Ramsey course to meet their finance requirement for high school. "Tah Dah!!" 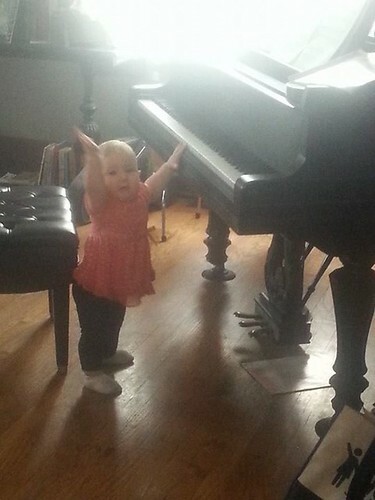 She crawls over to my mother's piano and makes the notes tinkle and giggles to herself. Mom would absolutely love that! That Noah will be ready for the CLEP in American History 2 within the next few weeks. Finish up on my my closet! 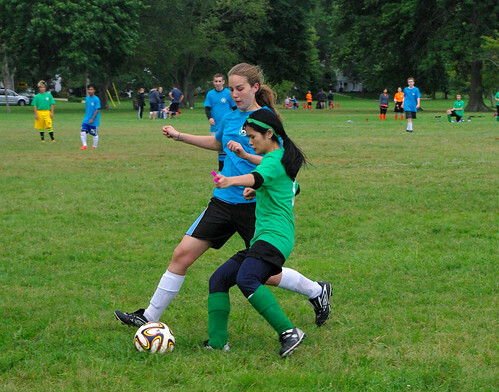 at least three cross country meets this week and a soccer game or two! 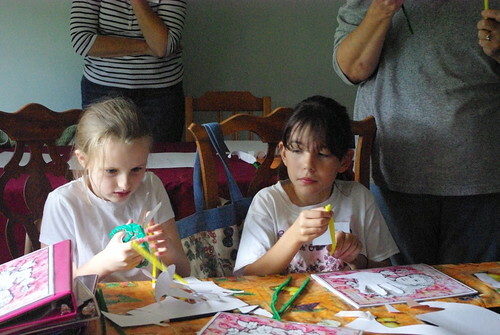 Rosie and one of her good friends at Little Flowers Club working on a craft. 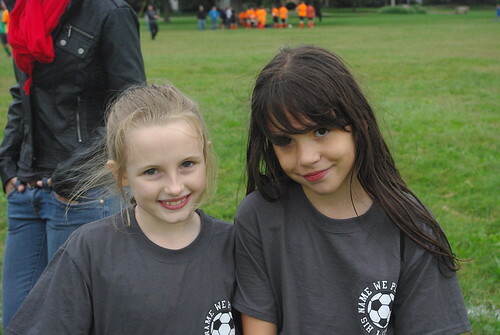 Where only hours before they had been playing soccer! Thank you Lora. It's a hard thing to lose your mom. I don't know if we ever really get over it. Thanks for stopping by and commenting. I love seeing the baby at the piano. It is not surprising that music is a part of her life. A concealed carry permit? Why do you need one? Your neighborhood is much worse and you are willing to kill someone rather then move? I am a very good shot, and have been shooting for years and years. I have pepper spray and a good dog. More then one policeman has informed me that carrying a gun puts me more in danger because I would most likely hesitate and be overtaken. Then the other person would have the gun. The other thing that could happen is that I might mistakenly kill a family member who "surprises" me. I believe in the second amendment. My husband, son and son in law were all trained on how to "shoot to kill" in the military. I leave that stance up to them. My daughter was as well, but she, like me, tends to be a bit more morally "Christ law" then" Judaic law".